Acupuncture is one part of Traditional Chinese Medicine (TCM). 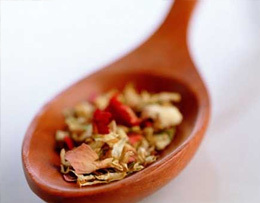 Traditional Chinese Medicine is a medical system that originated in China over 3000 years ago. It is one of the oldest continuously practiced forms of medicine in our world. Acupuncture is the stimulation of specific points on the body by using thin, sterile, single use needles. The stimulation of these points corrects imbalances within the body by initiating a healing response within the body. When the body'’s systems are in balance, health is restored. Imbalances within the body cause pain, disease and illnesses. The goal of acupuncture is to restore and maintain health. Acupuncture is a safe and effective way to treat many different diseases and illnesses. Acupuncture has few side effects or complications when performed by a fully trained and licensed acupuncturist. Acupuncture is commonly used to treat chronic and acute pain, colds, flus, allergies, infertility, digestive disorders, insomnia, anxiety, depression, headaches, stress and used as a preventative treatment. The World Health Organization (WHO) has acknowledged acupuncture's efficacy in the treatment of hundreds of conditions. This list is always expanding. To schedule an appointment or free consultation, please contact us at 612-226-4178, or by email. Traditional Chinese medicine is an ancient practice still used by millions of people all over the world -- even after the development of modern scientific medicine. At the root of traditional Chinese medicine is the belief that the individual (microcosm) is viewed as an integral part of the forces of nature (macrocosm). By careful observation of nature, Taoist sages were able to perceive patterns common to both the external environment and the internal climate of the human body. Over a period of thousands of years, the cumulative observations of sages all over China led to an intricate system of diagnosis and healing.